The ImmersionRC Duo 2400 2.4GHz Nexwave diversity Receiver V3 is used for longer range flights or closer flights where better penetration is required through light foliage when racing systems. The 2400 Duo is good at reducing & rejecting interference from EZHUF systems. Before the RC community adopted the 2.4 GHz band for radio control the use of 2.4 Ghz video transmitters was commom place. The advantages of using 2.4 GHz over 5.8 GHz video is 2.4 has less "free space loss" which means more range on legal systems. Several km range when using 10mW CE-legal transmitters on the 2.4 band is possible with use of ImmersionRC 2.4GHz SpiroNET RHCP Patch Antenna, this all translates to a more robust video signal. 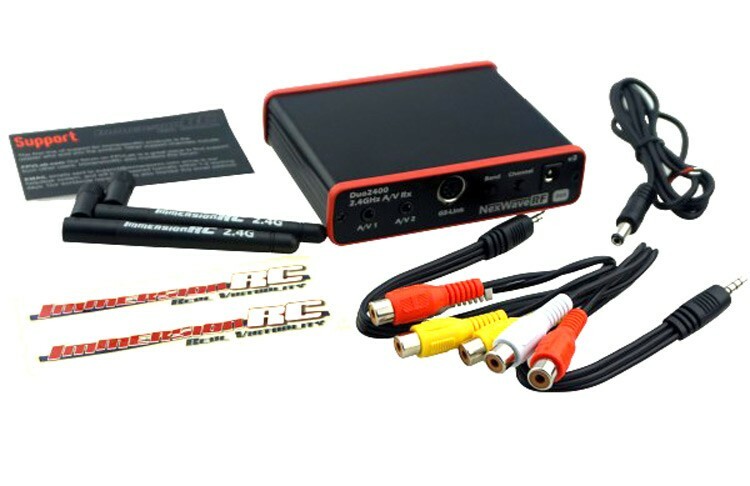 The ImmersionRC Duo has two A/V output, for two viewing/recording devices and Dual-button user-interface, and remote control from the groundstation. The ImmersionRC Duo 2400 supports the four common bands used with FPV First Person view hobby. 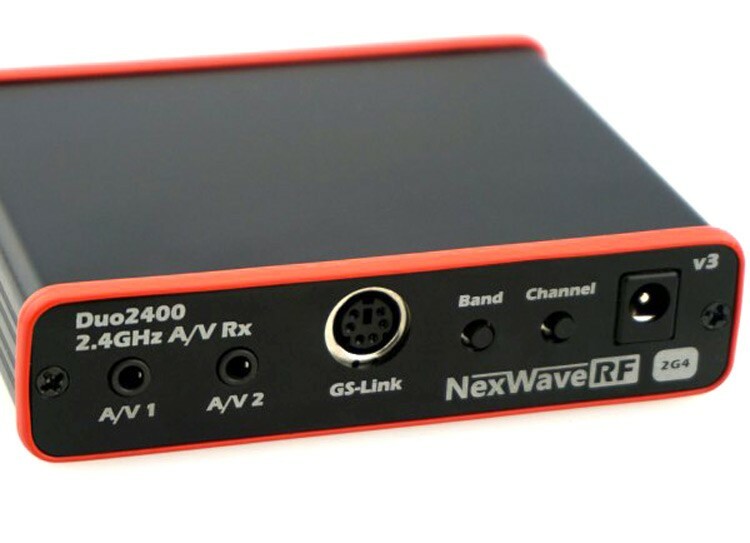 Users looking to upgrade from Lawmate equipment will find all of the favorite frequencies on band number 1, users with the older ImmersionRC 2.4GHz Airwave equipment are also supported on band number 2. Band number 3 includes frequencies legal for use in the EU, and the final Band number 4 includes frequencies legal for use in the USA, which match the US 700mW 2.4GHz A/V Transmitter. The Duo 2400 recivers can intergrate with the ImmersionRC ground station without any issues, there is a single-cable hookup to an ImmersionRC Grounstation, or Antenna Tracker, this cable is included in the box. Video, Audio, Power, and a bi-directional data link are all passed down this single cable to simplify Ground Station installations. Receiver band and channel may be controlled remotely, with remote display of frequency, in MHz, and received signal quality (RSSI) in dBm. 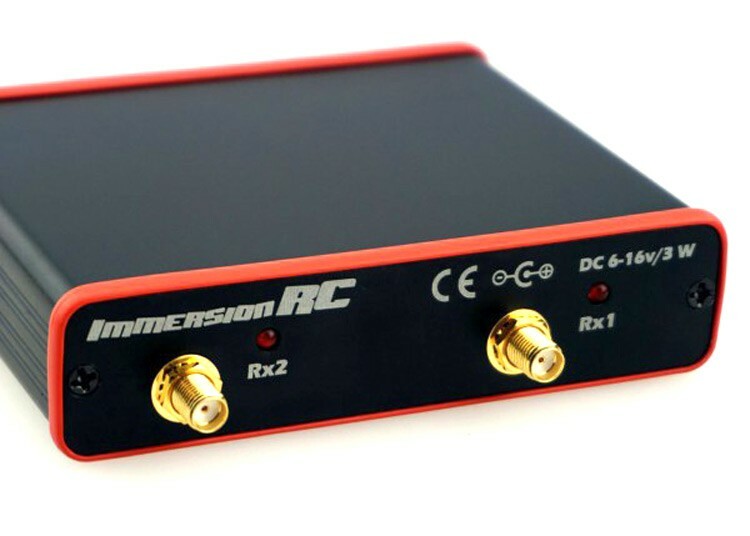 Please note: These systems should not be used with a 2.4 Ghz radio, they are designed to work with the ImmersionRC EZUHF Radio systems on either the 433 / 459 Mhz bands. If you need any help with these system please contact us.